Kai Sachs is a member of the Lifecycle & Cloud Management group at SAP AG. He received a joint Diploma degree in business administration and computer science as well as a PhD degree from Technische Universität Darmstadt. His PhD thesis was awarded with the SPEC Distinguished Dissertation Award 2011 for outstanding contributions in the area of performance evaluation and benchmarking. His research interests include software performance engineering, big data, capacity planning, cloud computing and benchmarking. He is co-founder of ACM/SPEC International Conference on Performance Engineering (ICPE). He has served as member of several program and organization committees and as reviewer for many conferences and journals. Among others he was the PC Chair of the SPEC Benchmark Workshop 2010, Program Chair of the Workshop on Hot Topics on Cloud Services 2013 and the Industrial PC Chair of the ICPE 2011. 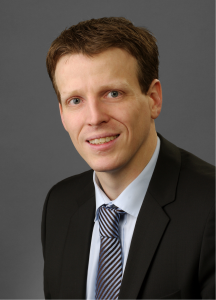 Kai Sachs is currently serving on the editorial board of the CSI Transactions on ICT, as vice-chair of the SPEC Research Group, as PC Co-Chair of the ACM/SPEC ICPE 2015 and as Co-Chair of the Workshop on Big Data Benchmarking 2014.